I won't spend many words on Sycomore as it deserves at least a try. This is an absolute masterpiece, one of a kind type of stuff and should be a mandatory purchase for any true fragrance lover. An outstanding and superbly crafted, smoky yet fresh vetiver centered composition enriched by hints of incense and a considerable dose of sandalwood. 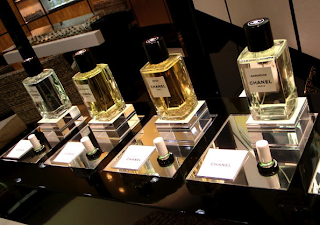 The usual aldehydes/iris roots "signature" bu Chanel is there but works subtly to provide the right amount of sophistication. Dry yet plush, immensely satisfying. Together with Vetiver Exctraordinaire and Route Du Vetiver possibly one of the best around. Absolutely intoxicating and addicting, don't look any further. A couple of considerations: while many of the Les Exclusifs can be considered as unisex, Sycomore is surely the most easily approachable by anyone who's usually only into masculine fragrances. Often compared to Encre Noire but believe me, this is completely on a higher level. Absolutely fantastic! This is the classic-classy floral chypre theme superbly revised with a tremendous modern twist. A sober masterpiece and possibly one of the best perfumes of all times. A big dose of iris, some bergamot and fruity notes are the most detectable elements in this composition made of a delicate sweetness and a luminous radiance. The drydown is warm, embracing, intimate and somehow ambery. 31RC stays at the top of my favourite female fragrances of all times together. Unquestionably elegant, sober and beautiful. Do great also on a man. Aldehydes, sandalwood and iris on a sweet fruity oriental base. Resinous undertones, dark woods, dry/sweet juxtapositions. Not much to say about such an imponent fragrance but, if you ever wondered how a masterpiece smells like, you have to try this. Men wearing Egoiste on a regular basis may decide to upgrade to Bois Des Iles pretty soon. One of the 100 best fragrances of all times. A quet aer glider flying low over a green flowers field. Casual but extremely classy. I'm usually not into rose fragrances but No.18 makes a pleasant exception as it happens very once in a while to smell such a simple yet incredibly fascinating composition. 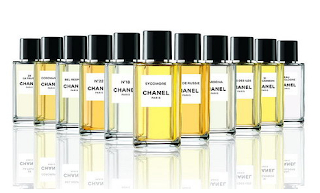 Quality and mastery are immediately (and clearly) noticeable when smelling No.18. An iris / rose structure supported by ambrette seeds and slight fruity patterns. The combination between rose and fruits gives the whole fragrance a fermented vibe that immediately recalls of wine or sweet liquors while iris circles in the air watching from the above.. No.18, being released in 2007, is the living proof that perfumery is not dead and it surely deserves to become an endless classic. Bravo Chanel. This is real perfumery in my opinion and real perfumery trascends personal taste, real perfumery doesn't leave you indifferent. When I first saw this perfume in a Chanel boutique I was visiting I immediately thought I was just about to smell another micro-variation on the main theme. Another one among billions. I was WRONG! This cologne is simply one of the best around. Yes, it's really a micro variation on the main theme but a substantial one and, more percisely, the one that make it smells contemporary and classic at the same time avoiding the aged and stereotyped feel that many compositions of the same family too often show. 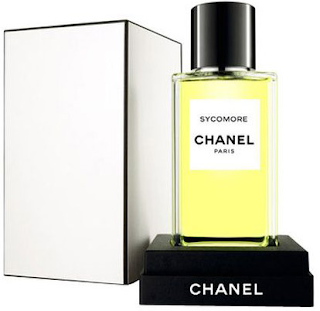 This one, together with Sycomore, Bois Des Iles and Cuir De Russie IMO stays at the top of the Chanel Collection. Sort of a pushed to the limit version of N.5. The Huge amount of aldehydes in the opening is almost breathtaking. It's like beeing on top of a 2300 feet mountain and having a deep breath. It takes serious and very solid skills to make a fragrance like this and do it perfectly as it moves on a very dangerous territory that can easily turn into disastrous displacements. 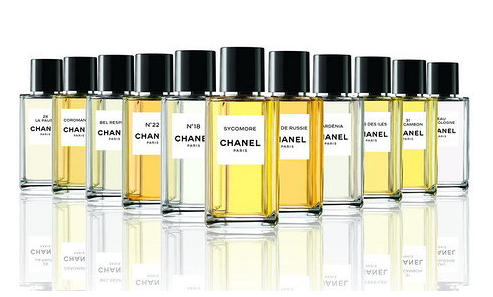 Chanel N.22 is the apotheosis of aldehydes fragrances and yet a very elegant and classy-classic perfume. Ever wondered how aldehydes smell like? Check this out and, at least, you'll end up having bigger lungs. A masterpiece. I'm sorry but I won't go through the orthodox scent explanation as I think this is the kind of fragrance everybody should at least test. Ok, start to save your money now because you "NEED" to buy Cuir De Russie. This is absolutely fantastic and it's one of the richest, most lascivious and elegant leather scents around. Perfectly balanced to be at the same time wearable and " risky", it runs in that tiny, thin line between glory and precipice and it does it with an incredible awareness. Floral- animalic-leather at their best. Magistrally crafted, this is pure perfumery virtuosism. One of those scents that you encounter once every 100 years (i.e. Knize Ten). Buy it! Cuir De Russie has been reformulated since 1924, but despite that, it's still one of the most luxurious and terrific iris/leather around. That's how reformulations should be! Beige is probably the only composition in the Les Exclusifs range that I dislike (together with Grdenia). It opens with a suffocating aldehydes and floral combo that's at the same time loud and cheap to then evolve into an overly sweet, clean floral drydown that's anything but exclusive. Overall Beige coul be ok but next to masterpieces such as 31 Rue Cambon, 28 La Pausa, Bois Des Iles, No.22, Cuir De Russie and Sycomore it results weak, uninspired and unremarkable. If you happen to smell Coromoandel for the first time and you don't know it's from Chanel you'll be probably end up thinking it's from Guerlain or Serge Lutens. This fragrance sits somewhere next to Guerlain Homme Intense, L'instant Pour Homme Extreme and Heritage but at the same time it shows the unmistakeable hallmark of many of the Sheldrake's compositions made for Serge Lutens. A bold-sweet (almost gourmandic),-spicy oriental built around a consistent patchouli note. An high quality composition that is a sure compliment getter, projects decently and has a tenacious lasting power (more than 12 hrs), but IMO it's not among the best and most successful releases in the Les Exclusif range. Don't get me wrong, Coromandel is a crowdpleaser and you'll probably won't be by any means disappointed, it's just that I like it but don't love it. Good rating, anyway. Anyone into iris-based compositions should, sooner or later, stop here as 28 La Pausa seats just next to Roucel's Iris Silver Mist. A woody-rooty concoction based on the complex smell of iris-roots and laying on a woody/vetiver drydown. Subtle yet magnificent, slightly powdery, mannered. Simply Terrific. 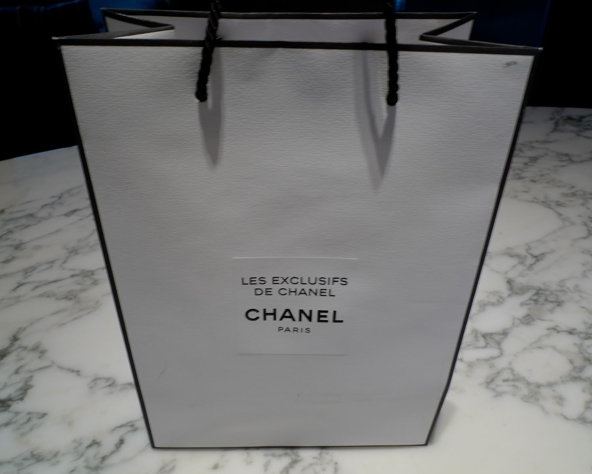 I try cuir de russie today and love it.This amazing chanel's drydown reminds me grey flannel,what do you think,agree with me?